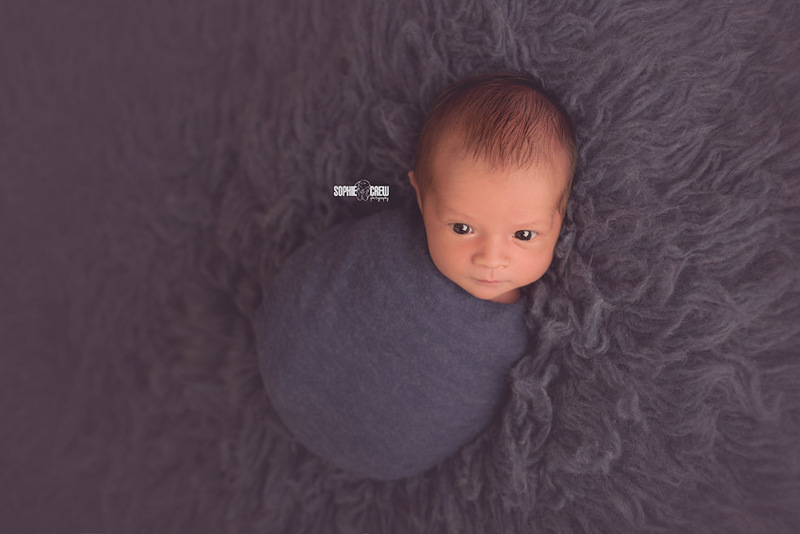 What to expect from your Mini Newborn Session in Studio with Sophie Crew Photography, San Diego, CA. 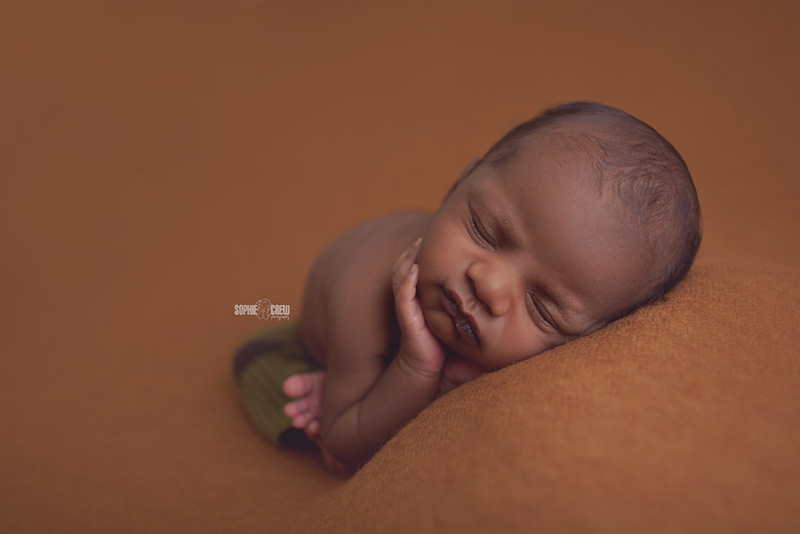 Handsome baby boy, Noah, came to visit me at the studio just a couple of weeks ago for his mini newborn session. 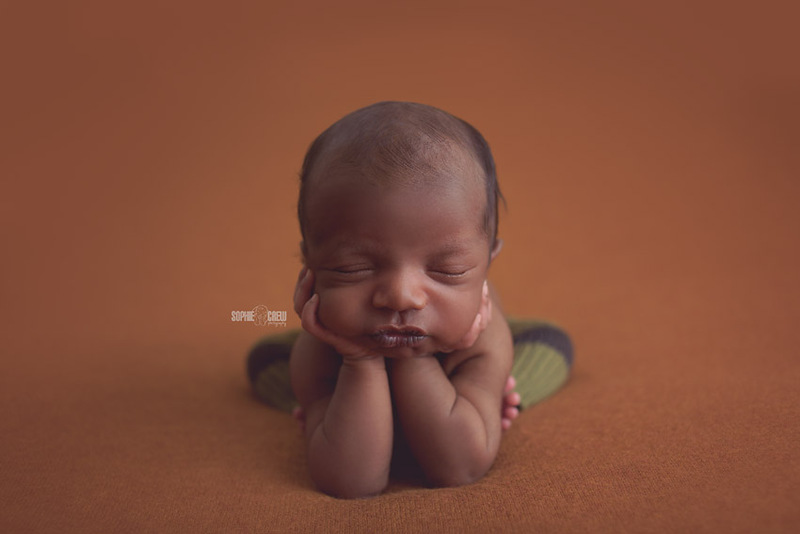 At close to three weeks of age, his mommy was concerned – like many of my other mommies booking a mini session – that one hour might not be enough time to get some great poses. So is one hour enough? Yes. 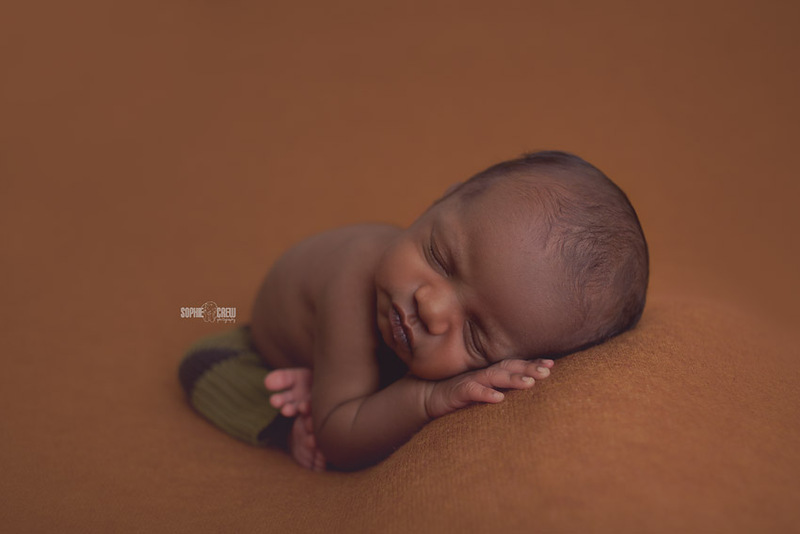 I am sharing two separate mini sessions with you so you can see the difference between a ‘very sleepy’ newborn and a ‘wide awake’ newborn photographed in one hour during a mini newborn session. Both parents did a great job preparing for our session by reading and following my pre-session instructions. 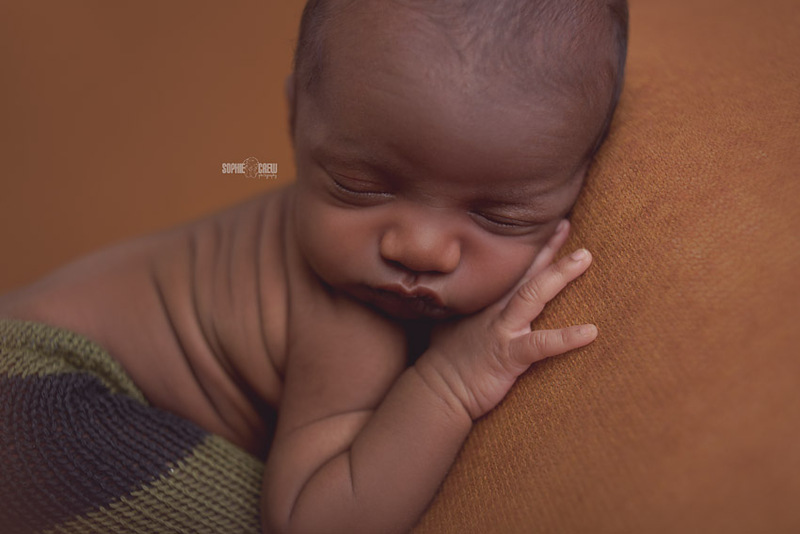 These directions include feeding baby right before leaving for the studio, arriving 15 minutes early to undress and ‘top off’ baby while getting adjusted to the temperature and studio environment, bringing a pacifier along, and letting me take creative control. On my end, I always make sure to have the studio nice and toasty (that’s 85 degrees and hot! ), having extra pacifiers on hand (I love the Soothie brand for newborns), playing soothing Hawaiian tunes on Pandora for the parents, and the lovely and comforting sound of ‘shhhhhhhhh’ from my Baby Shusher, playing nice and close to baby. 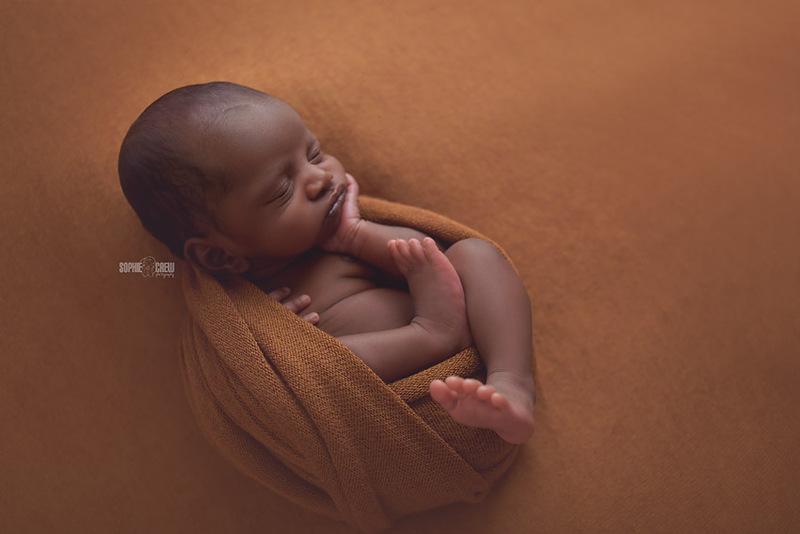 It’s important to know that every single baby will be different. 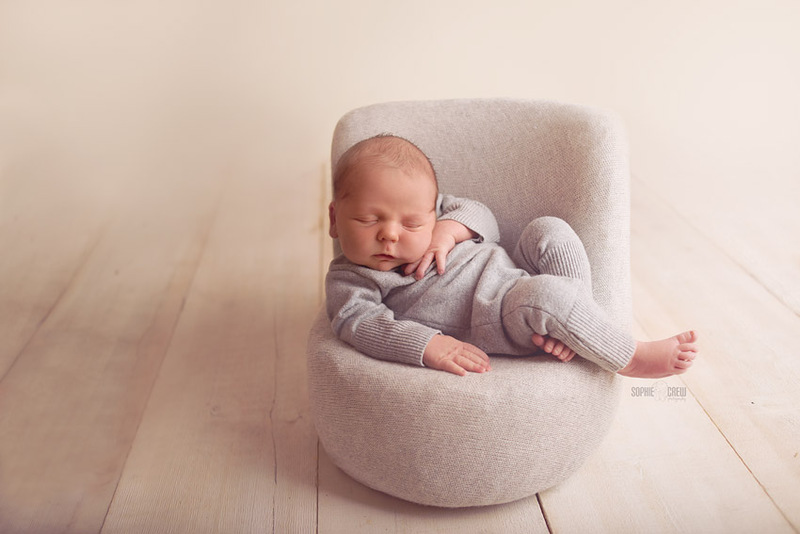 There is no way to predict how your baby will do, but with as much preparation as possible, we can do our best to have baby sleeping during our session. 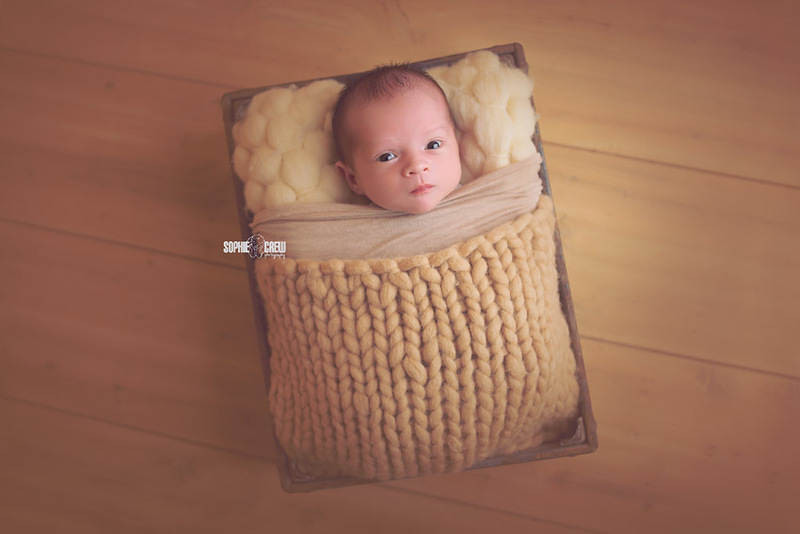 Even with all boxes checked in the preparation department, what if your little one just won’t fall asleep? Well let’s look at some examples! 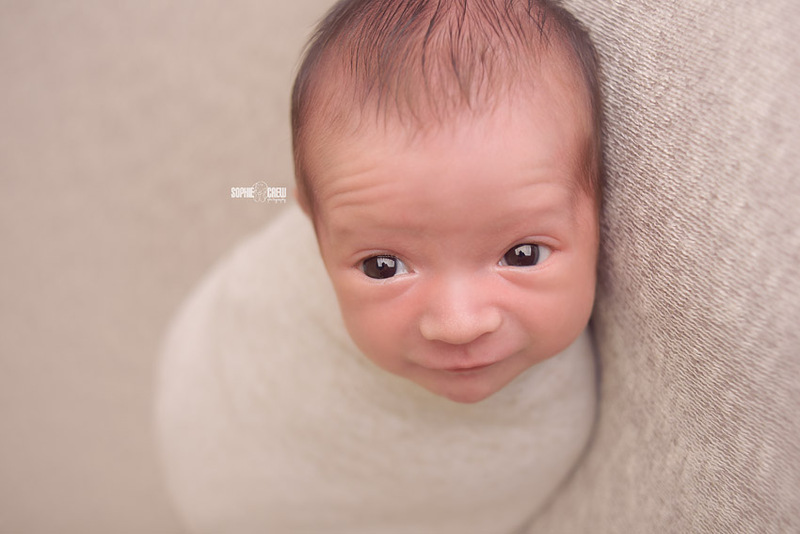 Here is sweet baby Noah. 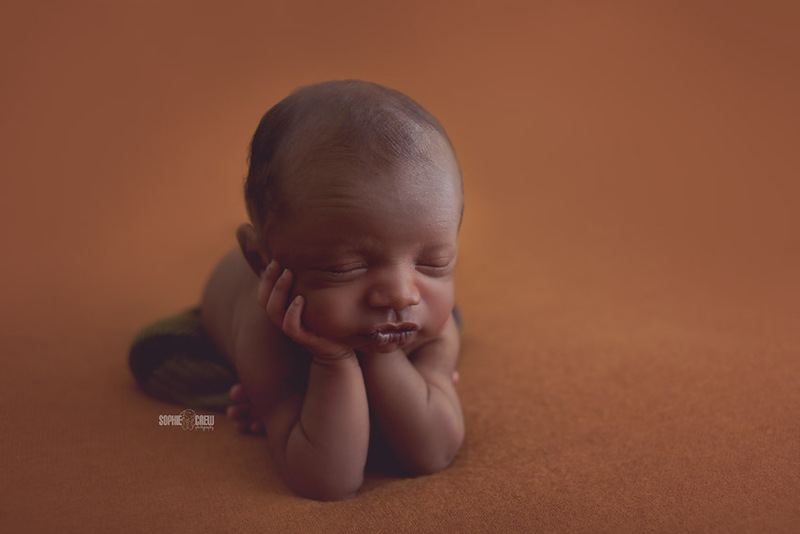 He was fully prepped for our session and we started our session with him sleepy but frustrated and easily wakened. Why was he frustrated? 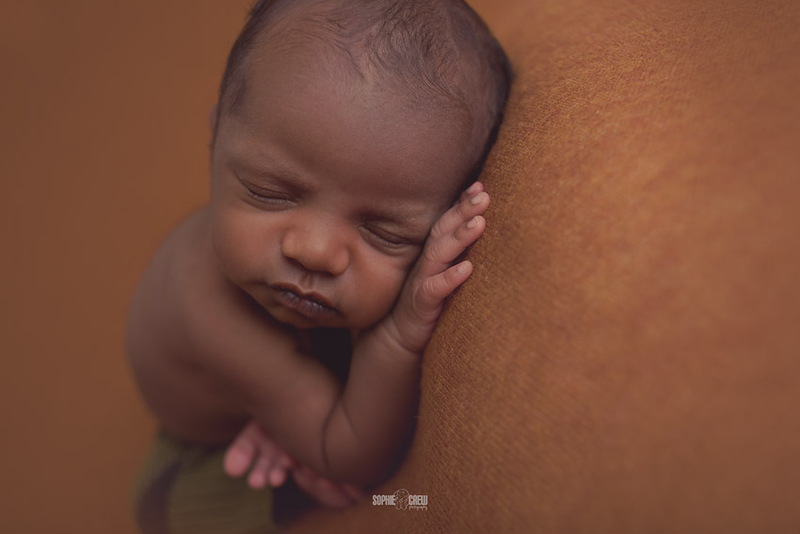 Because like most newborns, he would drift off to sleepy-land, and then his photographer (that’s me!) would have to carefully move a limb or a finger to pose him perfectly. He was not happy with me moving him around but by hanging out with him for a while, I was able to figure out his trick. He needed extra shushing and jiggles. 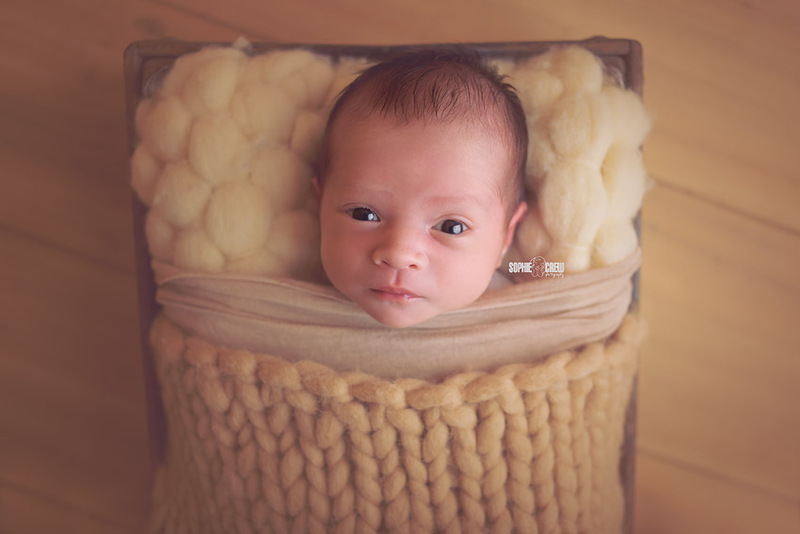 So beyond Hawaiian music in the background, the Baby Shusher on loud, I spent a lot of time preparing him for transitions by leaning over and giving an extra ‘shhhhhh’ in his ear. 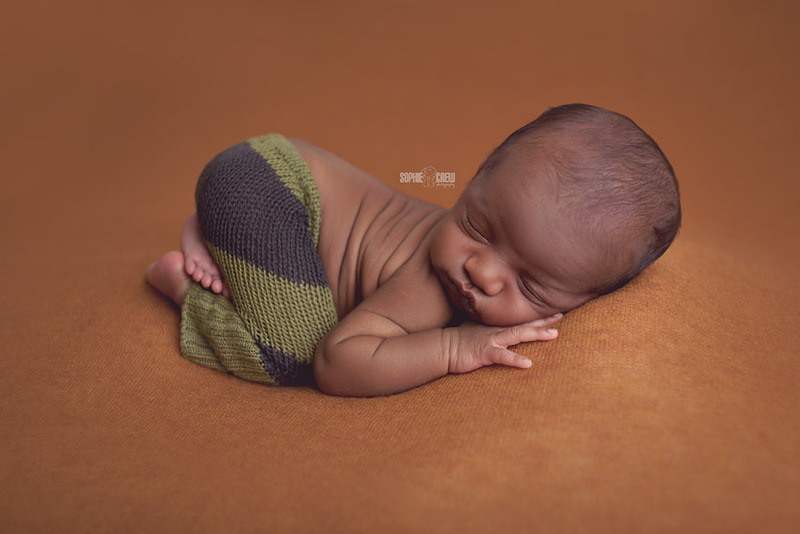 By working together to figure out his ‘magic trick’ we were able to get him to sleep in order to pose. 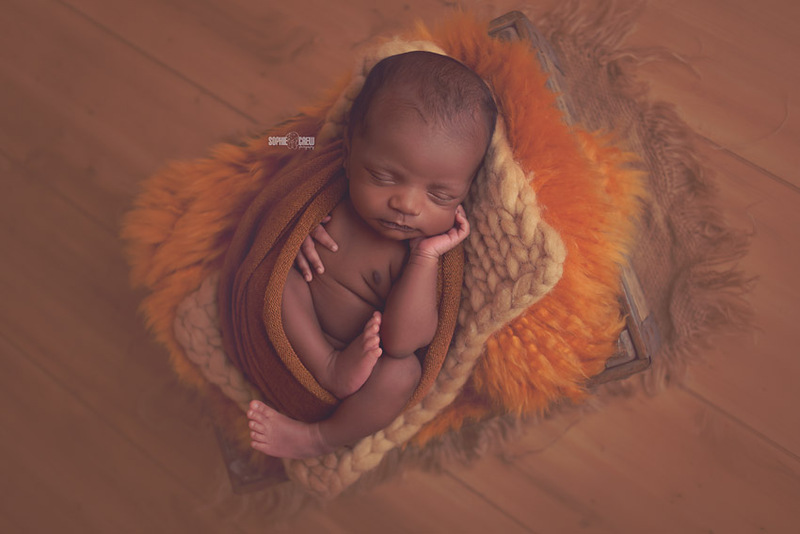 Because he was in a sleepy mood but very delicate to handle, we cut our backgrounds to only two during our hour session, but I made sure to get various sleepy newborn poses working with limited transitions. 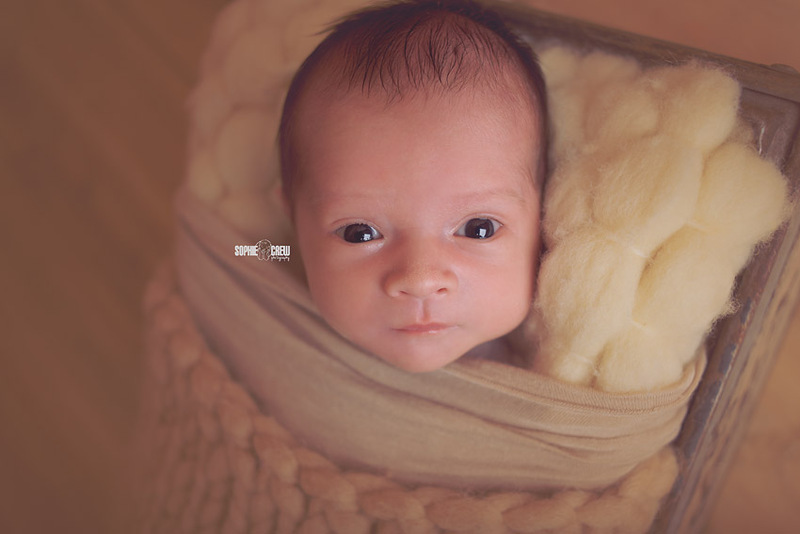 So to conclude, is a one hour mini newborn session enough time to get some great shots? Yes! 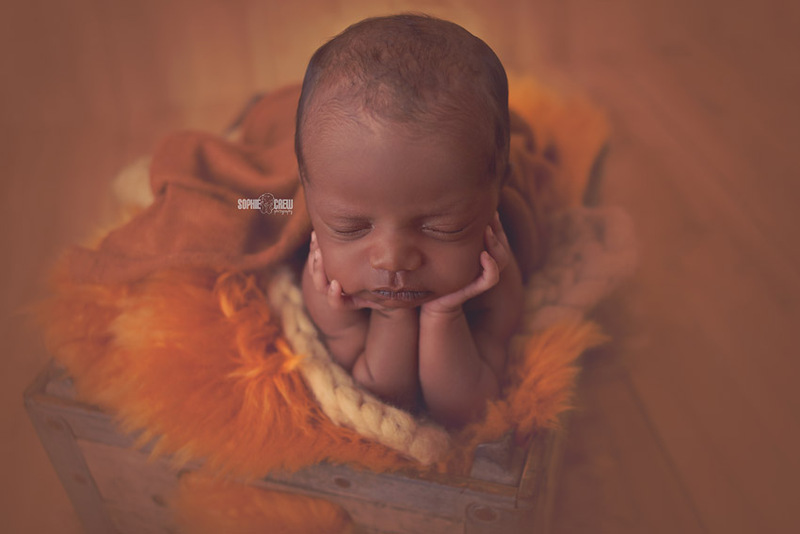 Can you predict how your baby will do? No. But either way these are timeless images that will be cherished forever. These are the shots that you’ll get to look at for years and years, and remember how tiny they were. you, my dear Sophie, are a true gifted artist!!!! Wow!!! Amazing as usual Sophie. 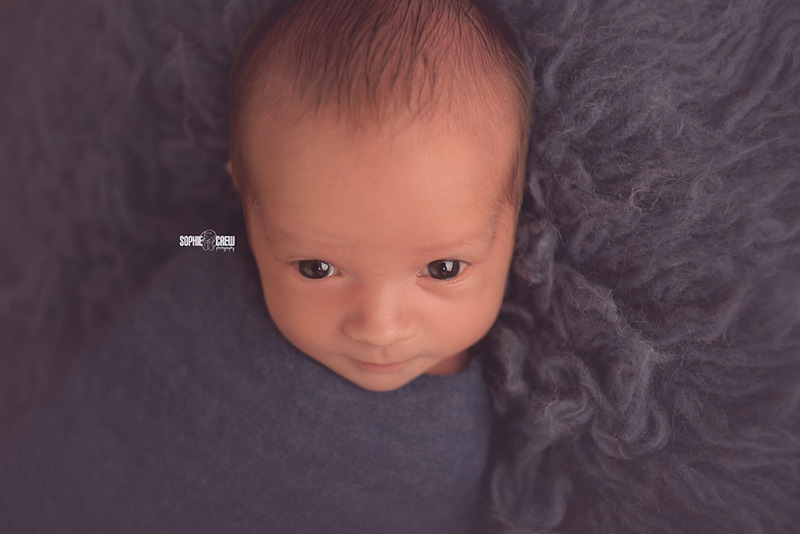 Truly the best newborn photographer in SD! What you do is simply amazing. You are a true artist! And in such little time. 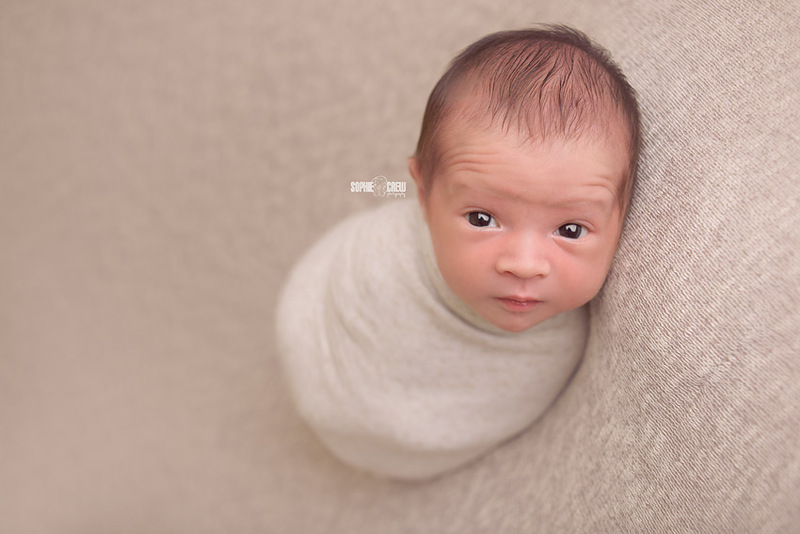 Great tips and such beautiful babies! Such great advice and photos! 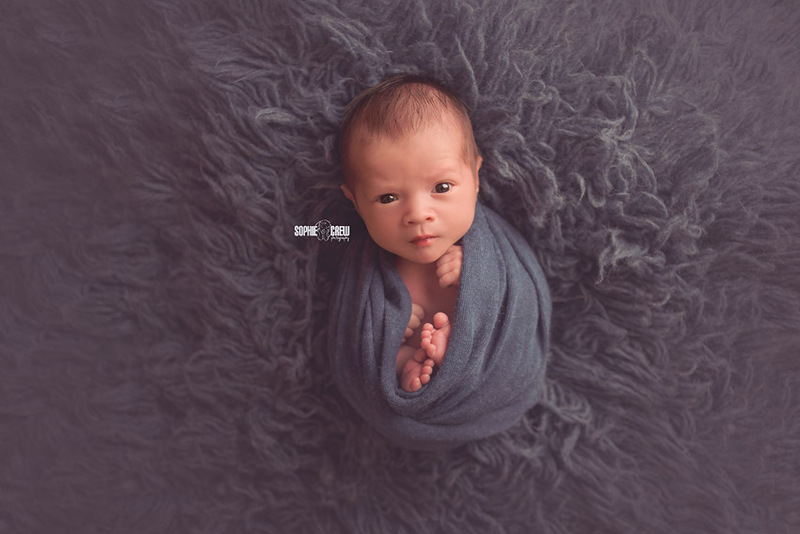 This is such a great post and the best advice for new parents wanting newborn photos – San Diego is lucky to have your newborn photography talent! 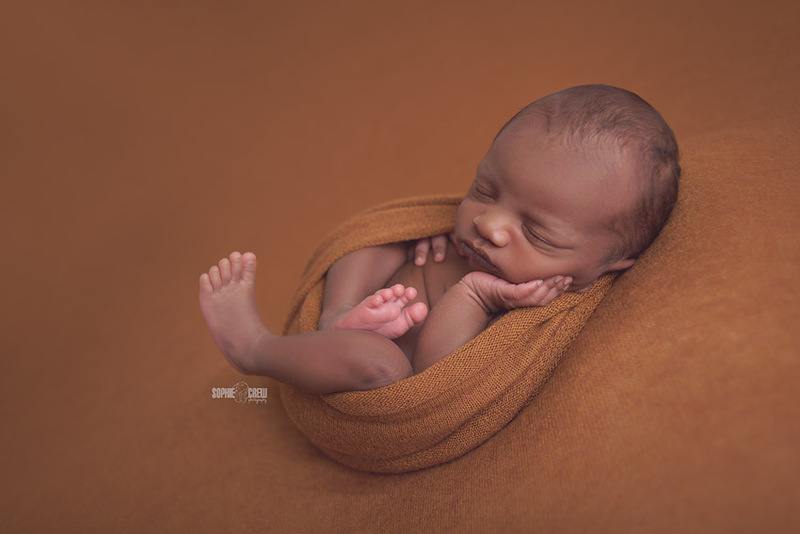 Amazing images as usual and you are one gifted and most patient photographer! Such great post for potential clients. Preparation is the key! 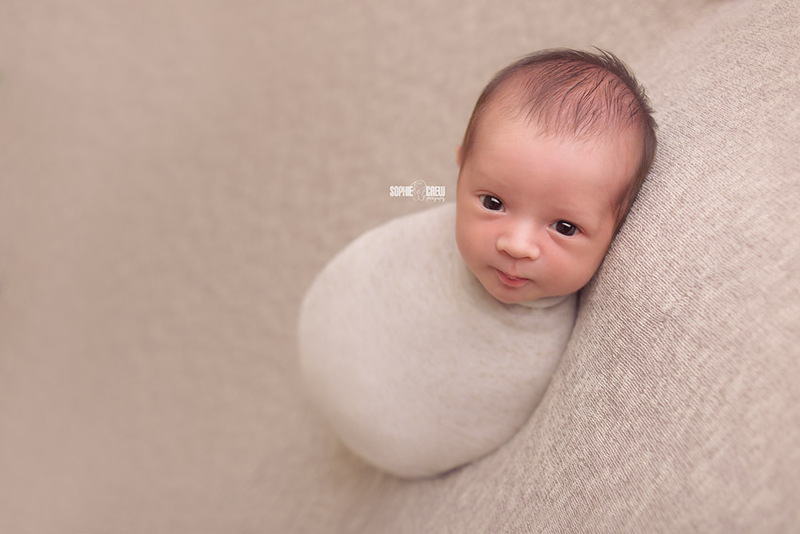 What amazing images you captured during your San Diego Newborn Mini sessions. You are incredibly talented!